The latter could be problematic for the implementation of the agreement, as the JCPOA does not deal with issues of human rights and terrorism in Iran. It specifically lifts only the nuclear-related sanctions imposed by the UN, the U.S. and EU against the country. In facts signatories like the U.S. maintain non-nuclear sanctions that predate the ones imposed against the Iranian nuclear program. Khamenei reiterates that the reconfiguration of Arak (IR-40) heavy water reactor and shipping out the country’s current stockpile of higher-enriched uranium could only begin after the IAEA certifies that the Iranian nuclear program never had any possible military dimensions (PMD). IAEA is to file its final report on PMD on 15 December. Based on the agreement, if IAEA does not clear Iran on PMD issue, the JCPOA could not be implemented anyway. 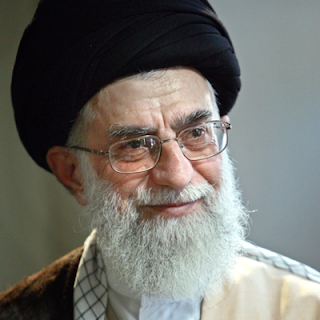 In his letter, Khamenei harshly attacked the United States and President Obama. He said Obama’s claims in his two letters to him that he was not after regime change in Iran “proved as a lie.” Khamenei did not explain what actions Obama has taken that could be seen as attempts to overthrow the Islamic Republic. He also attacked the U.S. behavior during the nuclear negotiations that led to JCPOA, saying “U.S. deceptive involvement in nuclear talks has been intended to advance their hostile policies towards Iran.” He did not explain what those hostile policies were and why did he approve an agreement that had hostilities toward Iran at its root. Hey , the Ayatollah made an entire speech without putting the blame for everything on Israel . Maybe the senseless anti-Israeli propaganda is fast losing its appeal among Iranian populace . Israel, as a racist, settler-colonialist regime, is responsible for many problems in the middle east and deserves every bit of criticism and much more. Rubbish! The dirty Sunni-Shia conflict is as old as Islam itself, and nothing about it suggests that Israel is responsible for it. Sure the Israelis took Palestine from the Arabs by force and treats the Palestinians in a racist way, but this has not much to do with the conflicts of the region. The only reason Ali Khamanei keeps on blaming Israel is politics, not facts. Thats because israel much to its great chagrin had no seat at the table for these talks,it was a deal purely between iran and the big boys only. @ Piruz.Wow! What can I say? But agree with you on this matter alone. "Not much to do with the conflicts of the region". Really Pirus jan? How about its attempted takeover of the Haram e sharif or its invasion of Lebanon, bombing of Syria and Sudan, illegal occupation of Arab lands, including all of palestine, lebanese Shebaa farms and Syrian Golan? How about its support for Al Nusra, including reports of medical care for terrorist fighters against the legitimate Syrian government. None of these things have anything to do with the conflicts of the region. BS! Now if you argue that Israel is too far from Iran to be an immediate threat, that I would not disagree with. But saying it has no plans and ignoring its hand in the region is rubbish. It is a major root cause of instability in the region, and therein lies its usefulness to Western interests who would loathe to see a united Arab/Muslim world sitting atop the region's hydrocarbon resources. Would the muslims be at each other's throats if Israel didn't exist, maybe, maybe not. But Israel's entire purpose and utility is to keep a check on the region, keep the region weak and divided. It's a century old strategy the US learned from the British.